RE32735 was unusually worked by a class 218 hauling its push-pull set on 31 May 2009. Even in the days when 218s were common on regional services, very few trains ran with the loco at the München end. 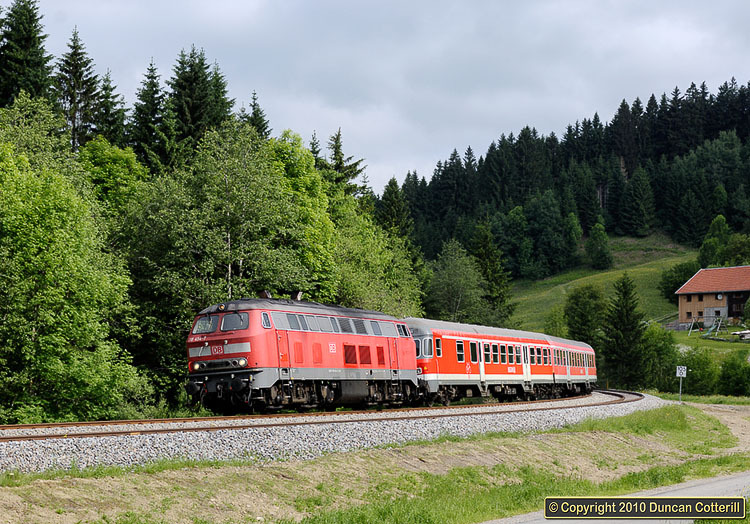 218.454 hauled the 08:41 from Lindau to Augsburg around the curve at Weissenbachmühle.